Heath and wellness isn't just about what you put inside your body, but also what you put ON your body, specifically your mouth! How much time we spend on our legs, abs and arms, yet we forget about the sweetness and importance of our lips. Our communicators. Our kissers. Its as simple as drinking hot water with lemon. 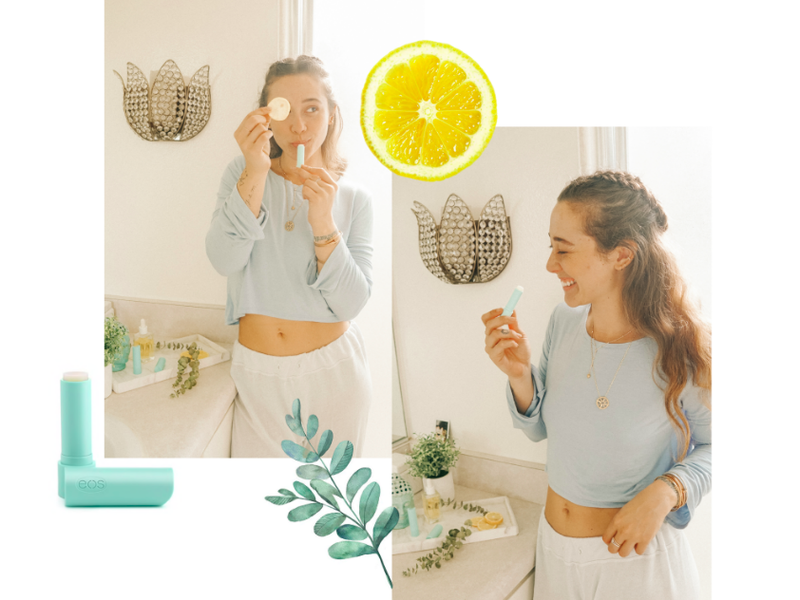 Switch out your chemical infused beauty products with ones that are made consciously and with care, like eos Organic Sticks. They are certified organic, 100% natural, and paraben and petrolatum free. I love these sleek sticks for their beautifully simple design, and that they are packed with antioxidant-rich vitamin E, soothing shea butter and jojoba oil. eos Organic leaves your lips feeling hydrated, refreshed, and enhances your already natural beauty. You can find these organic sticks here!